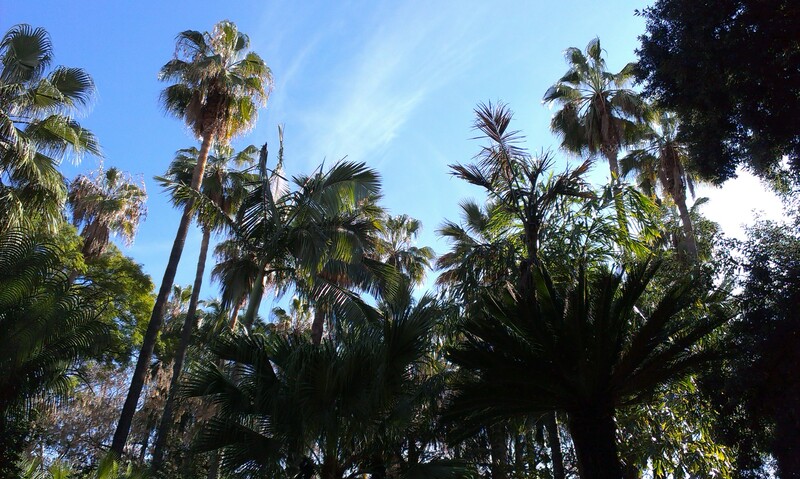 The Parque de Malaga presents the visitor with a fascinating array of palms, with many examples drawn from around the Mediterranean, sub-tropical and tropical world. It’s the Washintonia’s and Brahea’s which provide the true height to the Patque’s planting, standing sentinel like against the blue sky. The Canary Date Palms (Phoenix canariensis) smartly line the Paseo del Parque main road, and in between them a few dozen genera and species of Palms provide the area with a true feeling of tropicality in a busy city centre. Whilst some plants have had to be removed through necessity in recent years, both through the Parque’s recent redevelopment and through the threat of the Red Palm Weevil (see the separate section in this blog about this pest) many truly mature specimens still remain and, as already mentioned, the area is under constant change, with dozens of younger plants having been introduced in the last few years. The visitor may well find new specimens. The alphabetical list below is based on my own survey plus others from the latest publication “El Parque de Malaga. Un Ejemplo de Biodiversidad.” by Garreta & Asensi (see the Books section) where you can find much more detailed information. As this blog develops I’ll attempt to add more information on as many of these as possible, really as a way of learning about them one by one. Check the drop down menu for individual photos and profiles. Note: I’ve included some genera such as Encephalartos, Dicksonia, Dypsis, etc. 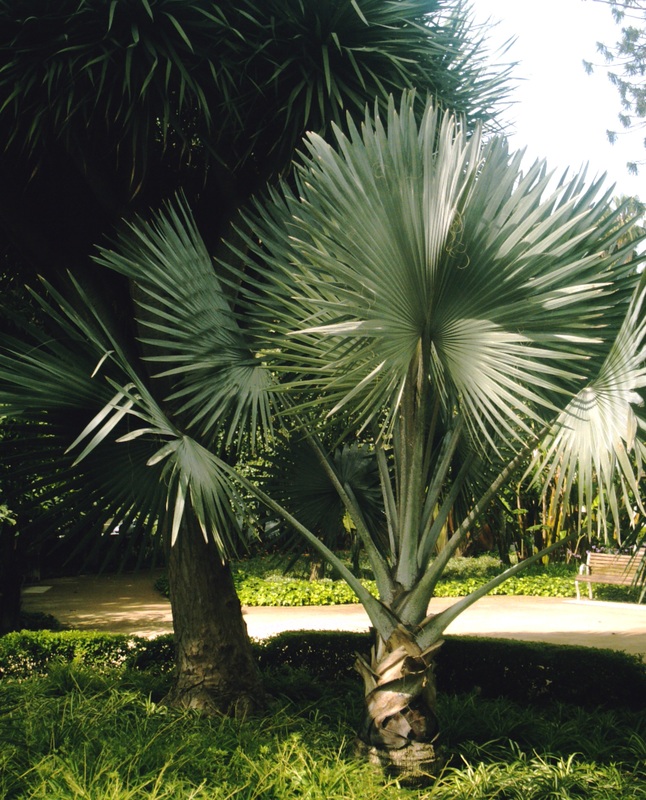 which I’m well aware aren’t classified botanically as “Palms,” but they have a Palm-like habit…This is a personal blog, so I have taken the liberty of including them here. I’ll leave the strict botany to other sites ! Washingtonia filifera, W. robusta, Wodyetia bifurcata.